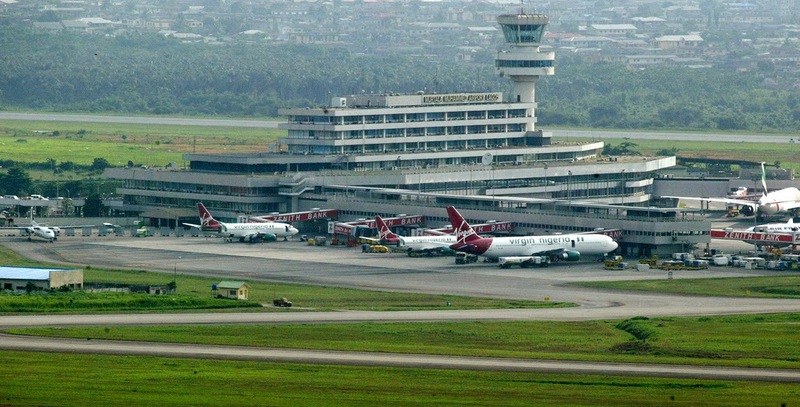 From the 8th of March the Nnamdi Azikwe International airport, in Abuja, Nigeria’s second busiest airport will close for approximately six weeks for repairs. It is to enable the authorities carry out essential maintenance work on the facilities and pot-holed runway. Julius Berger, contracted to do the job, are ready and have promised to have it ready in time. As an alternative all flights are being re-routed to Kaduna, a small regional airport, about two hundred kilometres away. To try and minimize disruption the government is providing free shuttle buses to and fro with armed police presence along the way as notorious armed robbers and kidnappers are known to prowl the route. There are currently twenty-six airports in the country ranging from small regional ones to the much bigger international ones such as MMIA in Lagos. Under the auspices of the Federal Airports Authority of Nigeria (FAAN) a great many of these airports have been allowed to fall into a state of disrepair over the years. It’s not uncommon for these airports to have uncompleted structures, gaping holes in their runways, non-existent sanitary and passenger facilities, constant power failure and security issues. Some airports, like the one in Port Harcourt, are just glorified ramshackle motor parks complete with agberos and other unsavoury characters. Like with most other things in Nigeria there is a lack of constant maintenance. You can’t just close an international airport for six weeks to repair it, maintenance and refurbishment should be an ongoing concern 24/7, 365 days a year. Can you imagine the uproar if Heathrow airport in London or JFK in New York had to close for six weeks? Millions of passengers pass through these terminals every year, not to talk of freight. They don’t even close on Christmas day and they have a dedicated maintenance team that keeps the facilities and runways up to scratch round the clock. But not in Nigeria, Lagos MMIA and Abuja airports are amongst the worst 10 airports in Africa and the disgrace-of-an-airport in Port Harcourt has been voted the world’s worst one. You can’t just build an airport and forget about it, expecting it to self-repair itself when the need arises. The FAAN and successive governments have shown a total disregard for the upkeep of the airports. Many airports have uncompleted and abandoned structures, such as Yakubu Gowon or Port Harcourt airports, due to lack of adequate funds to complete the projects( – which could have been allocated and subsequently pilfered ?) putting both planes and passengers at great risk. Pilots are forever complaining about having to negotiate pot-holes on runways and in December 2013 a Saudi Arabian cargo plane damaged its undercarriage landing on a runway in Abuja. All this is in addition to frequent power cuts which have seen not-so-friendly staff trying to get people on to flights using flashlights. The lack of power also affects navigational aids which are crucial to planes taking off and landing – and that’s if the landing aids are installed in the first place! There’s even been a case where passengers have been forced to use a step ladder to disembark from a plane because portable stairs were not available! Imagine some airports, in the 21st century, still using tents as check-in halls? Disgraceful! On a rather embarrassing note whenever there is harmattan or bad weather over Lagos MMIA flights are diverted to Cotonu, next door, because they have better facilities and navigational aids – and the power doesn’t go! Better facilities, better runway, better navigational aids because the government of a miniscule country called Republic of Benin know the importance of maintaining an airport. In Nigeria, however, more important is the allocation of funds from the budget for the maintenance of the airport which will subsequently disappear into someone’s bank account and no work will be done. Even the security around the airports is laughable: herders are known to take their cattle to graze on the grassy fields in between runways and armed robbers sometimes try to hijack planes taxiing. Over fifteen million passengers use Nigerian airports every year and all these people expect these gateways into the country to be pleasant, well-maintained and safe. Using an airport in Nigeria is like catching a bus at the Mile Two bus stop with its non-existent shelters, area boys and agberos ready to prance on you, pot-holed dusty roads and that’s not to talk about the buses themselves which are death-traps on wheels. The first impression anyone gets when visiting a new country is when they disembark at the airport. And if your airport is full of bolekaja personnel, appalling facilities and services and uncompleted buildings with bandits and herders roaming freely around you are not painting a positive picture of the country. No wonder Nigerian airports are bottom of the list on most travel websites.